Now that users are actually able to post (oooops, sorry) the forum is off and running! Thanks to everyone who jumped right in and allowed me to sleep at night knowing it’s not a ghost town. If there are any categories you think I should add, please let me know. If you haven’t registered yet, get in there and get it done – collectors, pickers, wholesalers, retailers – this means you. There’s some sound advice coming out of the eBay advice category. 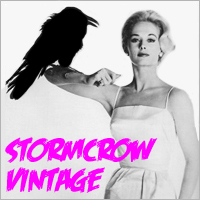 hermosavtg discusses sourcing inventory for your vintage business. Frank inquires about packaging strategies that make customers happy campers. lord ched questions ethics with the topic of vintage parking lot bootlegs. The vintage Brand category has already become a valuable resource. Frank gives some need to know info on the history of the Champion brand. or any skateboard tee featured on our top 30 list.